P.S. I want to call your particular attention to the article below on Boston Bruins. I hope you will buy some raffle tickets, and I hope you win! This month’s spotlight is on….The Boston Bruins Foundation! If you haven’t heard yet, we have exciting news to share. Our friends at the Boston Bruins Foundation have chosen Epiphany School as the exclusive charity for a 50/50 Fundraising Raffle in conjunction with the upcoming March 29th home game against the Tampa Bay Lightning. How does the raffle work? It's EASY! Purchase a ticket (only $5 for 3 tickets), you will have a chance to win 50% of the raffle proceeds, and Epiphany will take home the rest! Last week their 50/50 raffle raised nearly $40,000! Don't wait any longer...Click here to buy your tickets today! We are grateful to the Bruins (and to you) for this support of our hard-working children and their families. Evander Texeira is this month’s Epiphany Star!!! Evander graduated from Epiphany in 2014 and since then has grown into an admirable (and very tall) young man. It wasn’t until his 8th grade year at Epiphany that we began to recognize Evander’s hidden talent: acting. 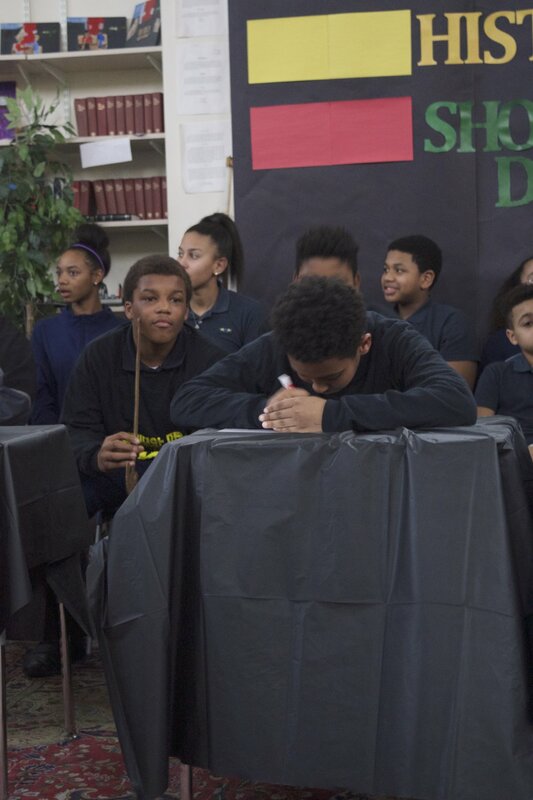 He joined Mr. Deleveaux’s Friday Drama Club and quickly felt comfortable in front of his peers making everyone laugh, so much so that he decided to pursue acting in high school. Mr. Deleveaux helped him prepare for his audition at Boston Arts Academy (BAA), where he was accepted and is now a senior. At BAA, Evander is well liked by his peers, and he shines on stage. He has been in multiple plays, including The Crucible by Arthur Miller and Shakespeare’s Othello. For his next show, he will perform one of the lead roles in She Kills Monsters by Qui Nguyen. Evander has also played Akeelah’s brother in Akeelah and the Bee at the Wheelock Family Theatre. It was an incredible experience to see him on stage with great Boston actors like Johnny Lee Davenport and Ramona Lisa Alexander, along with so many other wonderful young performers. Recently, he was named as one of the finalists for the August Wilson Monologue Competition where he performed Levee’s monologue from Ma Rainey’s Black Bottom. His performance was breathtaking, and we can’t wait to see what he does next. “An actor’s life can be hard. At every audition, you have to put your whole self out there and face the possibility of rejection,” says Evander. However, like a true Epiphany star, Evander is not afraid of setbacks or rejection. He works hard at his craft and sees his hard work pay off as he becomes better and better. We already know him to be a wonderful young actor, and he will continue to soar through his hard work and dedication. Keep pushing, Evander! 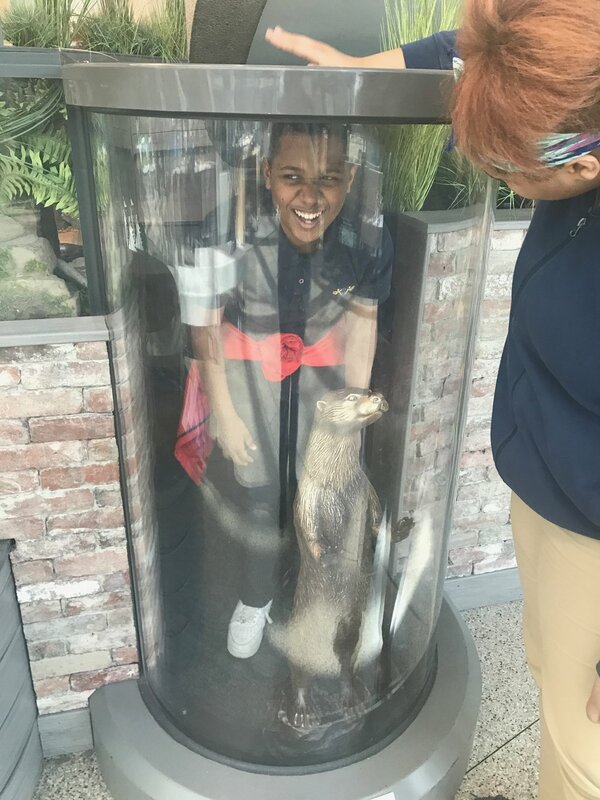 Ms. Inglis and Ms. Lee were eager for their students to see science in action outside of the classroom at the Boston Museum of Science. 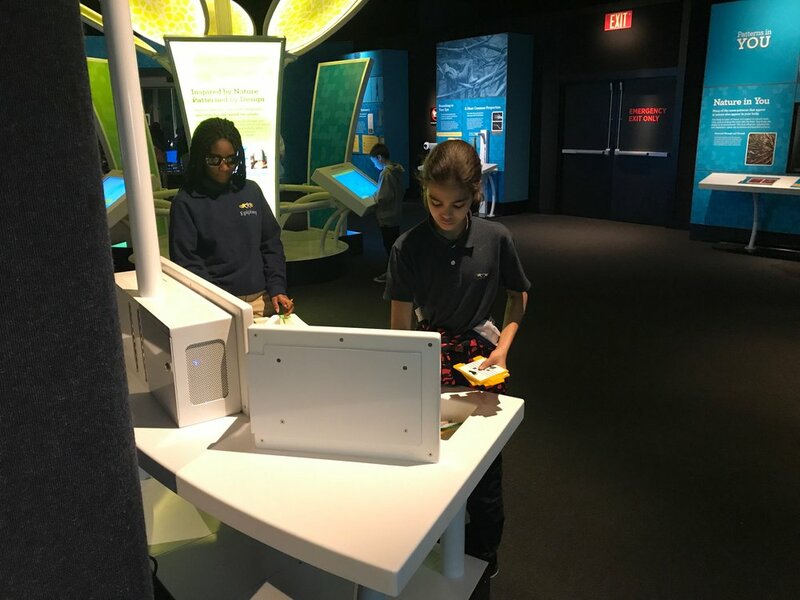 “I wanted specifically to give our 5th grade students a hands-on experience for their astronomy unit,” says Ms. Inglis, and Ms. Lee wanted her 8th grade students to see firsthand some of the physics displays. So, Ms. Inglis and Ms. Lee coordinated their visits and designed an assignment that gave students the opportunity to collaborate at the Mirror Maze Exhibit. 8th graders helped their 5th grade friends recognize different types of patterns, and the two grades successfully completed their assignment together. 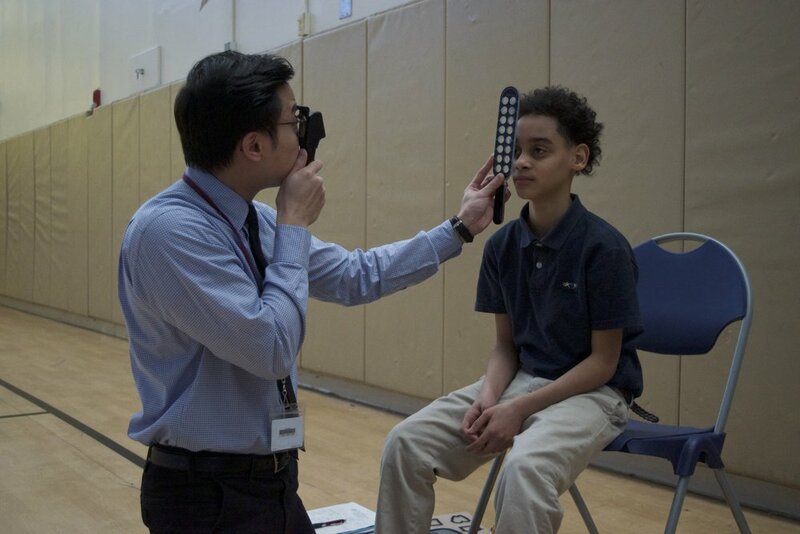 On February 27th, our gym was transformed into an optometry clinic when the New England College of Optometry visited Epiphany for our annual vision screening. Each year, they come to provide comprehensive eye care services and check the vision of every student. This partnership has helped many of our students over the years get the help they need. On February, Wednesday 28th, we hosted our annual Black History Showdown, and this one was phenomenal! 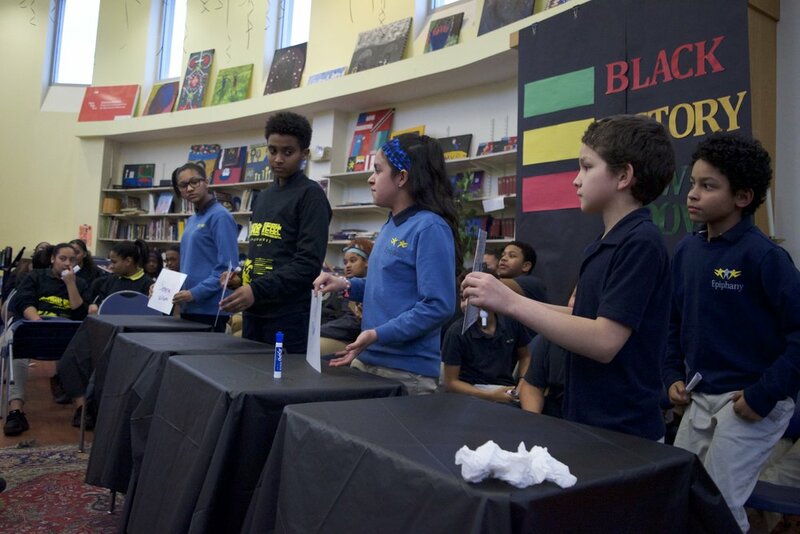 The entire school prepared for the event by learning about great African-American figures from history, and on the day of the showdown the grades competed to test their knowledge in a Jeopardy-inspired program format. Several students also performed skits, poetry, and songs for the whole school. Congratulations to 7A for your win! To fulfill their confirmation community service requirements, David Mega, Joseph Colasacco, and Teddy Flynn launched a book and toy drive to equip one of the new Early Learning classrooms. They reached out to their friends and families to ask them to donate any new or gently used board books and nursery school toys. The response they received was overwhelming! They received so many items that their porch was filled with toys. Obviously, these young gentlemen know how to motivate their friends. This project was led by David Mega, Susan Mega’s son. Susan Mega has worked behind the scenes in the Business Office here for 10 years. She does a wonderful (and very important) job, and she loves the kids! We are very lucky to have her and her family as part of our community! Thank you, Mega Family! On Friday March 16th, Epiphany students and staff members attended the Morehouse Glee Club concert. Mr. Aidid Brayboy ‘07, a second year Epiphany Teaching Fellow, is a proud Morehouse graduate and was eager to introduce his students and colleagues to this Morehouse College tradition. The Glee Club performed a wide variety of songs including “Happy” and “Betelehemu.” It was a great event, uplifting and moving for all in attendance. Thank you, Mr. Brayboy! In addition to the Glee Club concert, Mr. Brayboy ‘07 also arranged for a group of 7th and 8th graders to attend the Morehouse College Men’s Conference focused on the enrichment of African American young men. 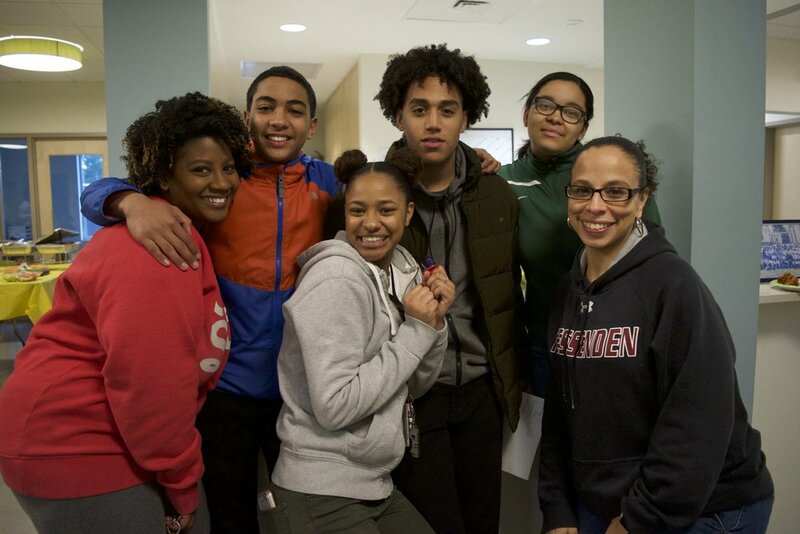 This annual one-day conference offers guidance to young men of color in the Greater Boston community. To kick off this year’s conference, Dr. Bryant T. Marks, Sr., Associate Professor of Psychology & Director of the Morehouse Male Initiative, was the conference keynote speaker. Dr. Marks hails from Roxbury and shared his captivating story of growing up as a young man who faced challenges. He described how he turned his life around to go on to become a college graduate and successful professional. He offered different strategies for the young men in attendance to become active agents of change in their communities. Mr. Joazard ‘04 and Mr. Brayboy ‘07 have been bringing a few Epiphany students to a Jiu-Jitsu class at Level Ground Mixed Martial Arts. Level Ground empowers and connects our community through health and fitness. We love seeing our teachers and students spending time together after school engaged in fun new activities. 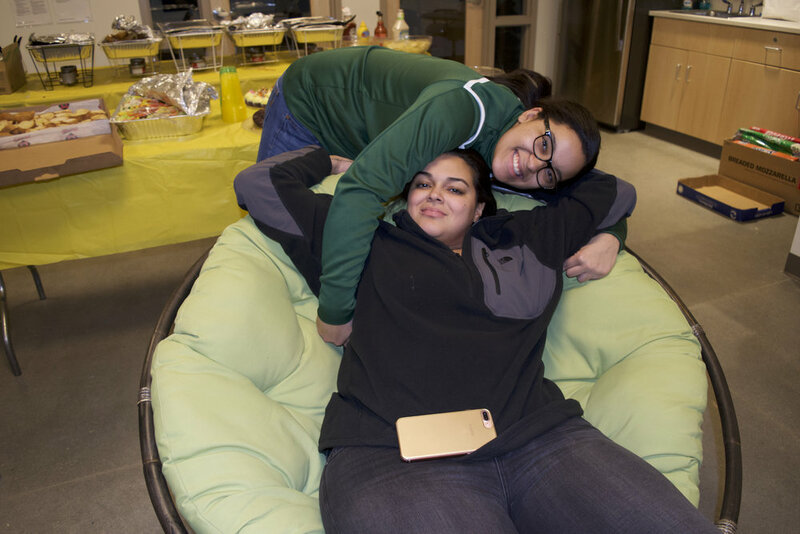 On Friday, March 16th, our Graduate Support team hosted a reunion for Epiphany graduating classes 2014-2017. Thank you all for organizing such a successful and fun reunion for our graduates in high school! It was wonderful to see everyone and catch up. Our annual Spring Gala is a month away! Don’t wait too long to get your tickets! Click here to purchase tickets, a table, or become a sponsor! Mark your calendar for Brenda Bancel’s photography exhibition! Brenda Bancel, one of our longtime supporters, the founder of TAKE 5 photography program, and an amazing photographer herself, is showcasing her work at the Vilna from Sunday, April 29 through Friday, May 25. Two of our graduates will also have their work exhibited. Click here for more information!